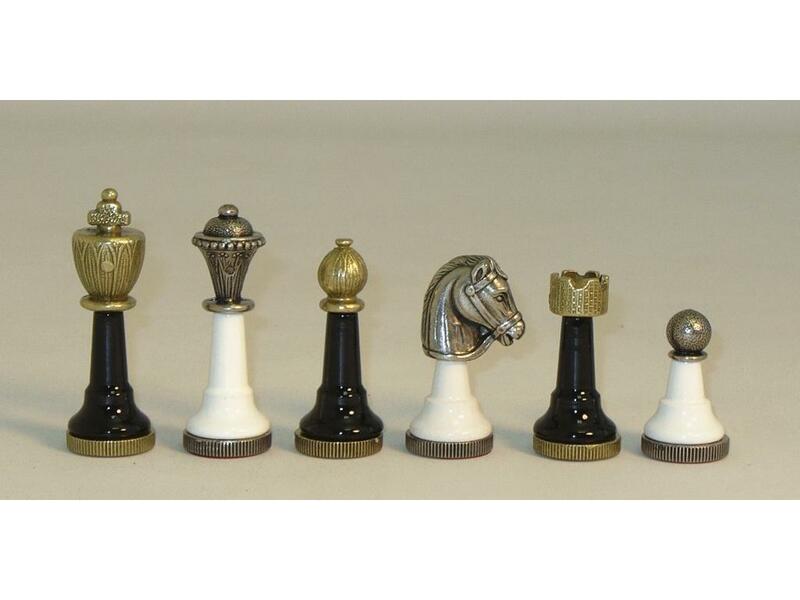 Staunton Metal and Wood Chessmen, Chess pieces, Black/White, solid metal head and base, 3" King height, 1" base, 2 oz King. Page P4318 Copyright © 1999-2019 GammonVillage Inc., USA. All rights reserved.